France’s Minister for Economy, Industry and Digital Affairs visited the Skolkovo Foundation on Monday to launch the French Tech Moscow project, which aims to open the door to French startups that want to expand onto the Russian market. 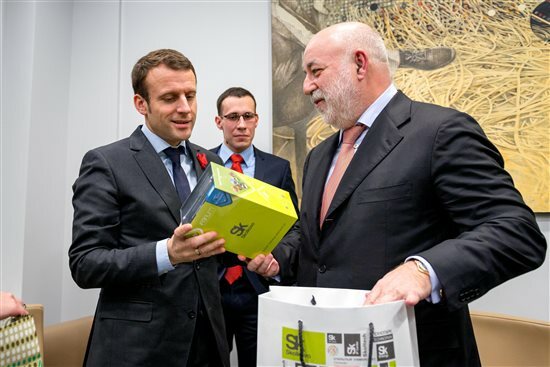 Emmanuel Macron visited the Skolkovo Institute of Science and Technology hours after a cooperation agreement was signed between France’s largest state-owned energy company EDF and the innovations hub. 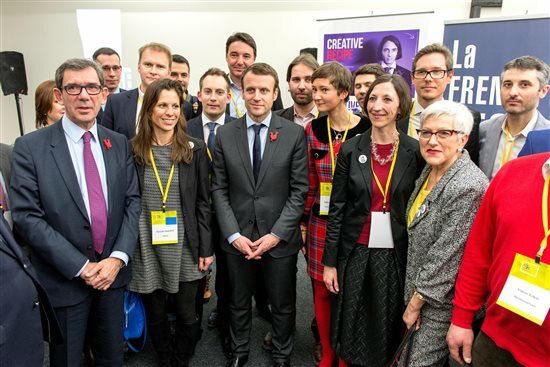 “It’s all about innovation and acceleration,” said the French minister, pointing out that innovative companies often mean disruption to classical economic models, and arguing that a new culture and new skills needed to be developed – most likely by a new generation – to facilitate innovative thinking. “That’s why it’s extremely important to be here in the university,” said Macron. The government-led French Tech initiative was launched in 2013 to support innovation and entrepreneurship. The main event of the French Tech Moscow project organised by Business France, a public-private body that supports businesses wishing to expand abroad, takes place from May 30 to June 3, when 10 selected French startups will come to Moscow to take part in an acceleration programme supported by Skolkovo aimed at helping them to get to know and understand the Russian market. The participating companies will hear from French companies already working here, attend coaching sessions in pitching their ideas and network with potential investors and clients. Yannick Tranchier, a strategic partner of French Tech Moscow and the founder of Numa Moscow, an international startup accelerator that opened in Moscow last November, said the companies selected to take part in the acceleration programme should demonstrate potential to acess the Russian market and international markets in general. “The most important thing is international development potential,” Tranchier told Sk.ru. The Frenchman, who has been organizing joint events for French startups in Skolkovo and vice versa since 2012, said the two areas with the most potential for French startups are retail and robotics. “Despite the crisis, retail is still a very interesting sector in Russia because it’s a captive market: there are few competitors so there’s always room for new companies and new solutions,” he said. Euryale Chatelard, CEO of the Russian office of Altima – a digital marketing agency – and an ambassador for French Tech Moscow, echoed Tranchier’s comments on retail, saying that the Moscow office she founded at the end of 2012 to help clients develop their digital strategy on the Russian market was thriving. “We’re not seeing much of a crisis,” she told Sk.ru. “We were preparing ourselves at the start of 2015, but online retail has continued to boom so it hasn’t had a direct impact on us, people are still investing in online marketing,” she said. In total, France-based Altima employs about 300 people around the world, including in China, the U.S. and Canada, said Chatelard. “People use different [technical] tools, but the fundamentals are the same,” she said. Other French startups already operating successfully in Russia include the rideshare service Bla Bla Car, web analytics leader AT Internet, and Kameleoon, a web design tool. 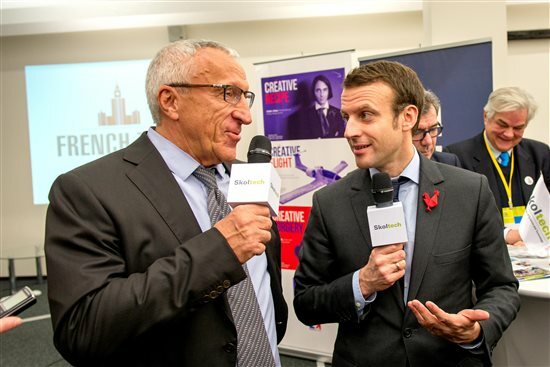 French companies are also actively involved in the development of the Skolkovo Foundation, with major companies including Airbus setting up partner offices within the innovations centre, which was founded in 2010. Macron said earlier during his visit that he hoped the EU would be able to lift economic sanctions imposed on Russia over its actions in Ukraine when they come up for renewal in July.